Bilbao (Spain) will host the 4th edition of the largest European Event in Nanoscience & Nanotechnology, ImagineNano, at Bilbao Exhibition Centre (BEC): March 13-15, 2018. 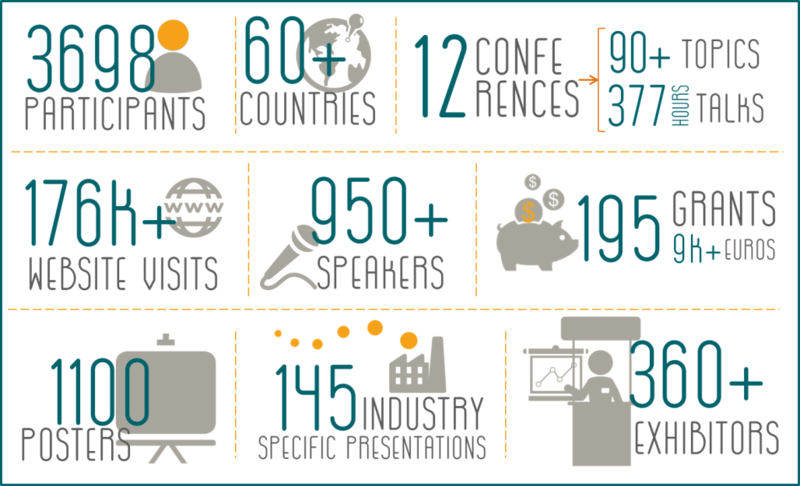 Following the overwhelming success of ImagineNano 2015 (www.imaginenano.com), several conferences will be held in parallel, as well as a vast exhibition (free entrance to professionals after online registration), one-to-one meetings and an industrial forum where everyone can meet and greet Nanotechnology side by side. ImagineNano will therefore gather the global nanotechnology community, including researchers, industry policymakers and investors.There´s no doubt that ImagineNano will be again the right place to see and be seen. Pre-arranged talks @ the B2B meetings: www.imaginenano.com/2018/B2B.php (organized in collaboration with the European Enterprise Network (EEN)). Visitor (access only to the exhibition area and Industrial Forum) – register online: www.imaginenano.com/2018/regexharea.php - Free of charge previous online registration until March 05, 2018 – onsite registration: 25 euros. It’s expected the event gathers more than 1500 participants/visitors (as in previous editions) to discuss the latest developments on nanotechnology. By participating at ImagineNano 2018 you will have the opportunity to get together with the nano community. The latest trends and discoveries in N&N from some of the world´s leading players in the field will be discussed.